Wide head for wider light spread to highlight beds and paths. Textured Architectural Bronze. finish blends with landscape. 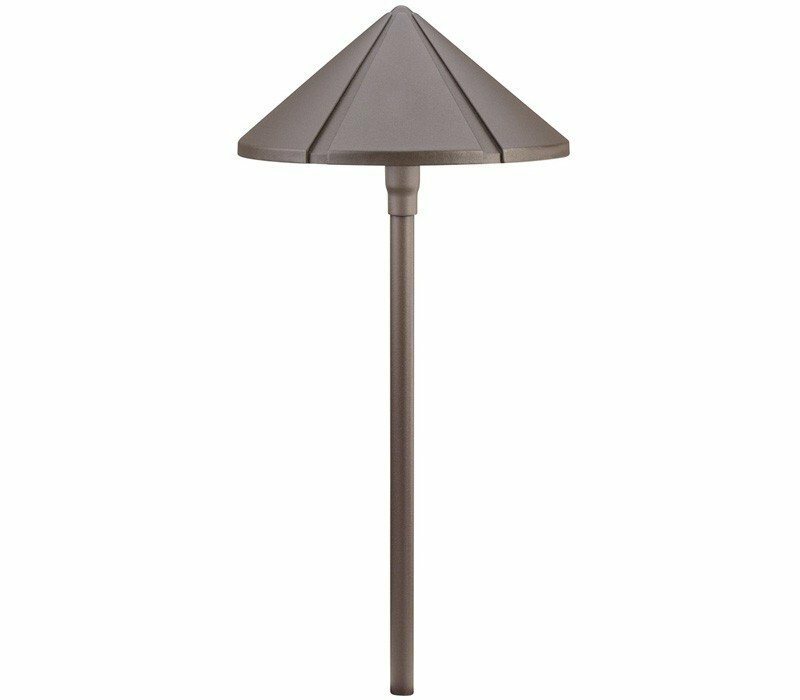 The Kichler 15328AZT Six Groove collection Landscape Path Lighting in Textured Architectural Bronze uses Fluorescent light output and brings Decorative style. 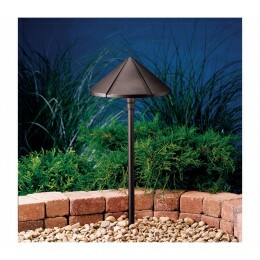 This item is 24.65"H x 11.31"W. The total wattage is 24.4 and the voltage is 12 volts. 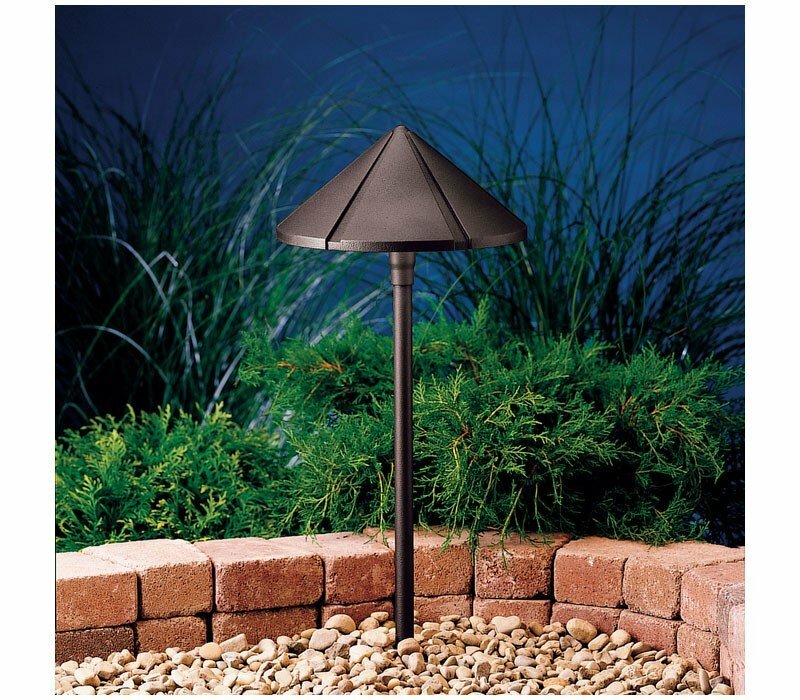 The Kichler Lighting 15328AZT requires 1 bulb (included). 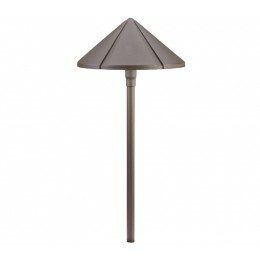 Additional Information: Shade-Metal; Accessory-35" of usable #18-2, SPT-1-W leads and cable connector.